The Track II Googly – crafty or naïve ? The numerous important controversies that have surrounded U.S. foreign policy over the past four years have obscured a strategic success with major implications for the future balance of power in Asia: the transformation of relations between the United States and India. The numerous important controversies that have surrounded U.S. foreign policy over the past four years have obscured a strategic success with major implications for the future balance of power in Asia: the transformation of relations between the United States and India. Through a series of breakthroughs in bilateral diplomatic collaboration, military-to-military relations, counterterrorism cooperation, and public diplomacy, the way was paved for this major diplomatic achievement. This year, the Bush administration has unveiled a potentially far more radical initiative with respect to India—the United States has pledged to “help India become a major world power in the twenty-first century,” investing the energy and resources necessary to secure its untroubled ascent to great-power status. In this new report, Ashley J. Tellis, a leading expert on U.S.-South Asian relations, provides an overview of this official, strong desire to transform relations with India, the administration’s assessment of the geopolitical challenges likely to confront the United States in this century, and an action agenda for achieving these goals. 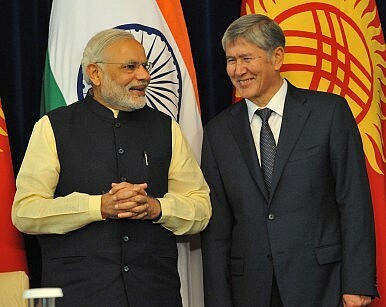 Indian Prime Minister Narendra Modi was in Central Asia last week to enhance India’s linkages with the region at a time when major powers are competing for influence in the five nations of Kazakhstan, Kyrgyzstan, Tajikistan, Turkmenistan and Uzbekistan. Russia has made its determination to restore some of its historic influence over its former Soviet empire clear, but it is China that is making a real splash in the region. Though Russia and China are planning to enhance their engagement in Central Asia and have decided to coordinate their policies in the region, Beijing’s economic transformation of the lands west of its restive Xinjiang province has gathered pace in the last decade. With China spending billions of dollars on infrastructure and energy projects to link up the disjointed region, it has emerged as the main trading partner of four of the five Central Asian countries that gained independence from Moscow in 1991. Why Is India Hopeful About Iran and Central Asia? Today I complete my tour of Central Asia. I return to India convinced that India and Central Asia must reconnect. It is important for the future that we seek for our countries and our region. So, we will improve our surface connectivity, as well as our digital and air connectivity. We will reach you through Iran and other Central Asian countries. But, I also hope that India and Tajikistan can connect directly, as we once were in history. India’s Connect Central Asia policy has roots in 2012, but hasn’t been much of priority over the years for New Delhi. Modi’s statements may be sincere, but Central Asia is one of the least connected regions in the world. The Fergana valley is an endless source of random border skirmishes. Uzbekistan routinely closes its borders to Kyrgyzstan and Tajikistan–meanwhile Afghan narcotics have little trouble making into the international market. Turkmenistan, avowedly neutral and politically isolated (it never joined the SCO, CSTO, and never ratified the CIS charter) has been reluctant in the past to allow foreign nations access to its infrastructure. The July 9-10 meeting of the Shanghai Cooperation Organization in Ufa in Russia is expected to approve India's membership of the organization, along with that of Pakistan. It would have taken India, which got observer status in July 2005, 10 years to obtain full membership, largely on account of China's resistance to open the doors for India without letting Pakistan in too. Russia has been politically supportive of India's quest for SCO membership but has questioned for some years Pakistan's eligibility because of the threat that its terrorist affiliations and its truck with extremist religious groups presented to the stability of the Central Asian states. 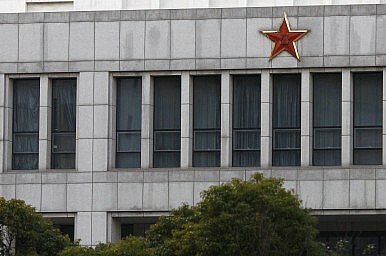 China, on the other hand, because of its solid geopolitical relationship with Pakistan and the political cover it has consistently given to it on terrorism-related issues would have opposed giving preferential treatment to India, even if India's candidature had no negative dimension and was welcomed by the Central Asian states. This is one visit India will really have to handle with care. When Myanmar’s army chief Senior General Min Aung Hlaing visits Delhi later in July, India will have to make him feel like a head of state, though he is not one. That is because he commands an institution that has run Myanmar for nearly 50 years and which still has 25 per cent representation in the country’s parliament, giving it a de facto veto power in running the country. The army’s continued stranglehold in Myanmar’s polity became evident when parliament recently shot down suggested constitutional amendments to change provisions that now debar someone with close foreign relatives to run for presidency. Article 59F of the 2008 Myanmar constitution is all about keeping Aung Sang Suu Kyi out of reckoning for the position of president or vice president because her late husband and both her sons are British citizens. So her party may contest the parliament polls later this year but there is no hope of her contesting for president. To normalize ties, the two countries need look no further than their own histories. Whenever we talk of the need for regional cooperation in South Asia, including closer ties between India and Pakistan, scholars and analysts tend to cite the examples of the EU, North America and ASEAN. What is overlooked is that in the years between 1947-1965, both economic and people-to-people links between the two countries were stronger than they are at present. More than the partition of 1947, it was the 1965 war that disrupted relations. Five decades later, it is worth examining some of the key features of the economic relationship as well as human ties. Great Depression or Great War: Is This China's 1929 Moment (Or Worse)? China’s economy may be facing its 1929 moment. Or this may be only the painful burst of a big bubble. Will it become a cascading catastrophe or just a crashing correction? Pay your money and place your bets. And hold your breath. No jests about a Communist Party flummoxed by the workings of a central motif of capitalism, please. The obvious point for Australia is that Greece is concerning but China is the main event. For Oz, Chinese investors panicking at plunging values trump Greeks shaken by the shriveling of their economy. In the 20th century, recession in Europe and America meant something similar would happen in Australia. In the 21st century, Australia’s economy has decoupled from the U.S. economy. America gets pneumonia but Australia doesn’t sneeze. Plugged into Asia, Australia sailed past the U.S. dotcom bust and the Great Recession. Australia is coupled to Asia. And at the head of the train is China. After decades of trying to accomodate China's rise, proposals for a cooperative relationship are now dead on arrival in the United States. Early 2013, President Obama yielded to Beijing’s insistent backstage pressure and, with China’s authoritarian chief Xi Jinping beaming by his side, announced a “new type of major power relationship” with China: In other words, a formulation of Chinese parity with the United States. Since that meeting in California, even the pretense of positive feelings evaporated. Make no mistake, nothing in the world needs resolute American leadership more than dealing with a China that’s both on the march and economically erratic—as misguided steps to buttress Shanghai share prices this past week show. In short, and despite renewed uproar in Ukraine and the Middle East, China and Asia will be dominating the 2016 U.S. elections as the most consequential foreign issue, bar none. ASEAN-China relations have improved dramatically since the inking of their strategic partnership in 2003. Bilateral trade increased more than six-fold from US$60 billion in 2003 to over $500 billion in 2014, and Chinese investment in Southeast Asia increased from US$0.12 billion in 2003 to US$7.3 billion in 2013. While the degree and nature of China’s economic importance vary among individual ASEAN countries, China is a critical economic partner for all ten of them. It is the most important export market for Malaysia, Singapore, Laos, and Cambodia and the largest foreign investor in Cambodia, Laos and Myanmar. However, greater economic cooperation with Beijing since 1990s seems to have failed to spill over into the political security realm, and Southeast Asian states continue to be concerned to varying degrees about China’s growing military capabilities and the lack of transparency about its intentions. Although the past few years have witnessed increasing economic ties between China and Southeast Asia, Beijing has found that its growing geo-economic strength does not necessarily translate into concomitant geopolitical influence and mutual trust. The Belt and Road: China's Economic Lifeline? China’s Belt and Road initiative – the Silk Road Economic Belt and Maritime Silk Road – have been discussed largely in terms of the geopolitical implications. What does it mean for China to be increasing its presence and economic clout in regions from Central Asia to the Indian Ocean, the Middle East, and even Europe? However, for Chinese leaders, the focus is different. Grandiose foreign policy visions aside (although they certainly exist), the major short-term purpose for the Belt and Road is to make sure China’s economy keeps humming along – particularly by jump-starting growth in underdeveloped western and central regions. Recent data highlighted by Xinhua provides optimism about the economic boons of the Belt and Road strategy. Chongqing, a municipality in central China just to the east of Sichuan province, registered 10.7 percent GDP growth in the first six months of 2015. 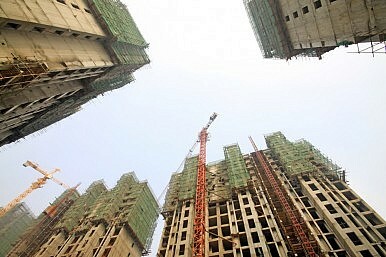 That’s the highest growth rate of all of China’s provincial-level administrative regions (and far outpacing China’s expected GDP growth for the year, which is predicted to be 7 percent or even lower). Xinhua attributed this growth to the increased connectivity that is at the heart of the Belt and Road strategy, citing the example of the Eurasia International Railway that connects Europe to Chongqing via Central Asia. As the only municipality located outside China’s eastern coastal regions, Chongqing is in prime position to become the major trading hub for the Silk Road Economic Belt. Xi Xiaoming, a judge on China’s Supreme People’s Court, is being investigated for corruption. Xi Jinping’s anti-corruption campaign has caught its latest “tiger”: reports emerged on Monday that Xi Xiaoming (no relation to Xi Jinping), a senior judge on China’s Supreme People’s Court (SPC), the country’s top court, is under investigation for “serious violations of discipline and laws.” Xi, who is vice president of the SPC and a member of the SPC’s leading Party members’ group, is being investigated for breaching Party discipline, according to a statement released by the Central Commission for Discipline Inspection (CCDI) of the Communist Party of China. China-Kazakhstan Copper Mine Brawl: Food for Thought? Authorities stress that the fight was just a fight, not a pending geopolitical flash point. 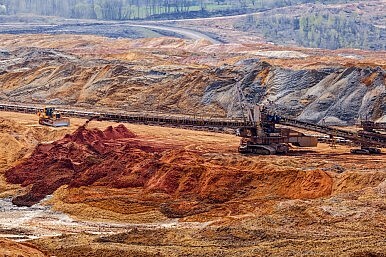 Last week, a lunchtime brawl broke out in the cafeteria at Kazakhstan’s Aktogay copper mine between Kazakh and Chinese workers. Tengrinewsreports that the fight started when a Chinese worker complained about the quality of the food and small portion size. Then, according to the police, Chinese workers began loudly expressing their dissatisfaction ignoring the efforts of their supervisor – also a Chinese – to calm them down. Security staff that was in the canteen tried to resolve the incident and walked the complaining workers out of the canteen. However, the Chinese workers used force against the security personnel and targeted the canteen’s cook. A large fight involving over one hundred men erupted. A Tibetan lama, Tenzin Delek Rinpoche, has died in prison in China 13 years into a sentence for what human rights groups say were false charges that he was involved in a park bombing. He was 65. Relatives were informed of his death on Sunday, the New York-based Students for a Free Tibet said. Police in Sichuan province, south-west China, confirmed that he had died but declined to give further details. 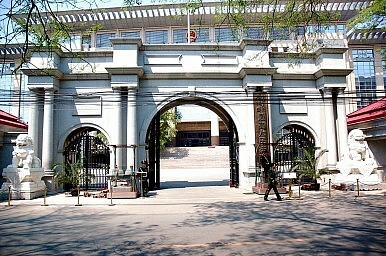 Tenzin Delek was arrested in 2002 in relation to an explosion in Chengdu city on 3 April 2002 that injured three people. He was sentenced to death on charges of terror and incitement of separatism a few months later. His death sentence was commuted to life in prison in 2005, and later to 20 years’ imprisonment. He continued to maintain his innocence. He was being held in a prison in Dazhu county in Sichuan province, which borders Tibet. Students for a Free Tibet said his family had not been told how he died. Last year they applied for medical parole for him on the grounds that he suffered from a heart condition, high blood pressure, dizzy spells and problems with his legs that had caused him to fall on a number of occasions. "I was just at KFC eating chicken and looking at stocks, and a beggar came in with outstretched hands. I gave him a chicken wing to eat. He sat down beside me and spouted off some impressive advice about the long-term moving averages of KFC and McDonald's. 'This stock is going to rise,' he predicted. I was shocked. 'You understand that?' I asked him. Women pray after riot police used pepper spray to push back a group of Uighur protesters who tried to break through a barricade outside the Chinese Embassy in Ankara, Turkey, on Thursday. BEIJING — More than 100 Chinese Muslims faced what a rights group called “grim” prospects Friday, a day after their deportation from Thailand, as officials in Beijing accused many of them of terrorist activities and warned of possible harsh punishments. art of the building of 'Unit 61398', a secretive Chinese military unit, is seen in the outskirts of Shanghai February 19, 2013. The unit is believed to be behind a series of hacking attacks, a U.S. computer security company said. For more than four years, Syria has been locked in a vicious civil war. Around four million people have been uprooted. The nation’s cities have been reduced to rubble. Its economy, its polity and its geography all have been shattered. 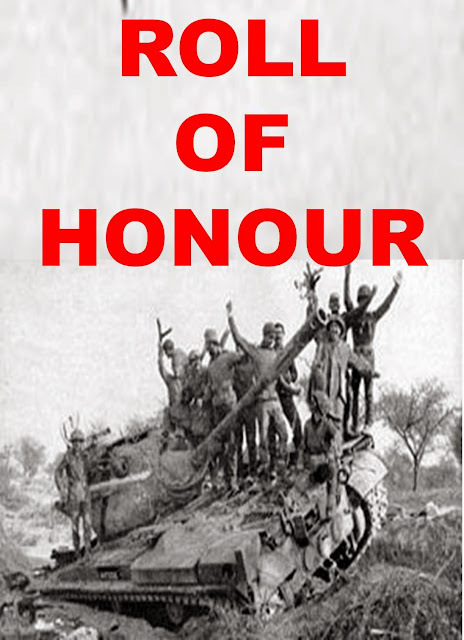 Those fighting the war have been barbarized; outside powers have made the war a playground for their own interests. There are few rules, few scruples, and little discernible order. 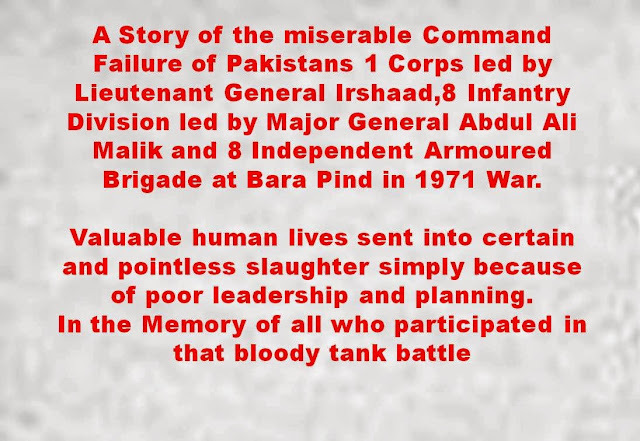 It’s no longer even clear what peace or victory would even entail. And so there’s little cause for optimism in Syria, particularly as rumors swirl of Turkish and Jordanian interventions and analysts speculate that an Iran nuclear deal may only see more cash and more arms flowing into the Assad regime’s coffers. The story is little different in Iraq, which has suffered its own bout of chaos. Yet the Levant’s current bloody stasis may be the first step on a road to denouement. Russia and the United States, who have favored opposite sides in the Syria conflict and, in the case of Russia, provided international diplomatic cover for the Assad government, are beginning to see eye to eye on one key point: the current path in Syria leads nowhere. Both Russia and the United States are scheduled to test new tactical nuclear missiles this month. According to the Russian state-owned Tass, Moscow is currently preparing to test its Iskander tactical missile systems. “Servicemen of a missile unit of the Southern Military District deployed in the Krasnodar Territory began preparations for drills and live-firing of tactical Iskander-M missile systems that will start in late July at the Kapustin Yar range in the Astrakhan Region," Tassquoted the unit’s press service as saying. Earlier this year, a Russian defense industry official said that Moscow would complete all certification tests for the missile by the end of this year. “We hope to be through with government certification tests by the end of 2015. But, as you understand, anything can happen," the industry official said. The Iskander-M missile system is a road-mobile tactical nuclear-capable missile with a range between 50 and 500 kilometers. It is Russia’s successor to the Scud missile system. The dramatic Greek referendum clearly meant nothing. The initial proposals from Athens had already flown in the face of that vote. Ratification of the new, harsher deal will stray further the sentiments expressed by Greek voters. "The BRICS as a grouping do not represent a threat to the established world order. But that doesn’t mean that their grievances aren’t worth the time of policymakers in Washington." The BRICS grouping—comprising Brazil, Russia, India, China, and South Africa—is as contentious as it is misunderstood. Skeptics dismiss the BRICS out of hand, arguing that the coalition is all talk and no action. Enthusiasts, on the other hand, maintain that the BRICS portend a new global pecking order—one in which the emerging economies, led by China, will challenge and eventually overtake a West in decline. More sober analysis is hard to come by. Last week’s summit of BRICS leaders in the Russian city of Ufa offers a timely opportunity to assess what the BRICS are, what they are not, and why it’s time for the United States to begin taking them—and the grievances they represent—seriously. India's policy on Jammu & Kashmir (J&K), on terrorism, and on the principal sponsor of terrorism in South Asia - Pakistan - has often been criticized for its inconsistencies. Over the past years, however, an increasing consistency has been evident - though perhaps not in any particularly constructive sense: the consistency of a pendulum, swinging with insistent regularity from one extreme to the other. 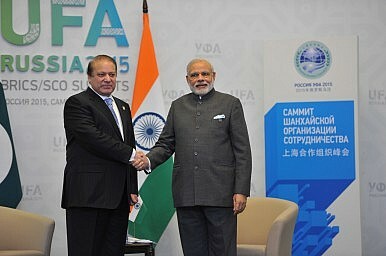 Another ‘historical’ media event has been orchestrated, with ‘unprecedented’ agreements arrived at during the meeting of Indian Prime Minister Narendra Modi and Pakistan Prime Minister Nawaz Sharif on the sidelines of the Shanghai Cooperation Organization (SCO) summit at Ufa in Russia on July 10, 2015. 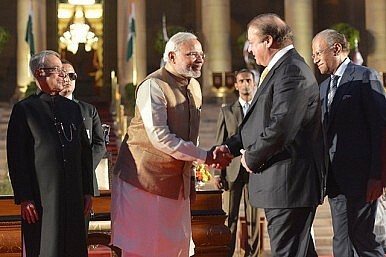 Modi’s attendance at the South Asian Association for Regional Cooperation (SAARC) Summit at Islamabad in 2016 is being packaged as a ‘breakthrough’ in Indo-Pak relations, as are the restoration of routine diplomatic and military contacts between the two countries. 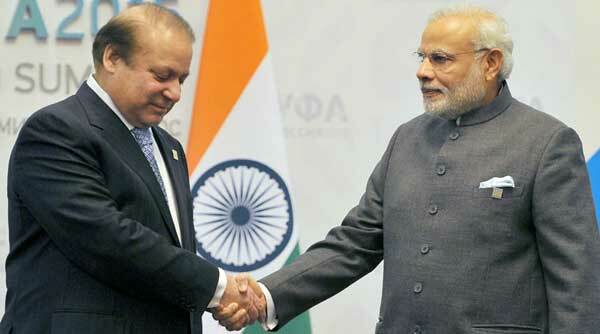 Crucially, it was India that sought the meeting between the two Prime Ministers at Ufa. 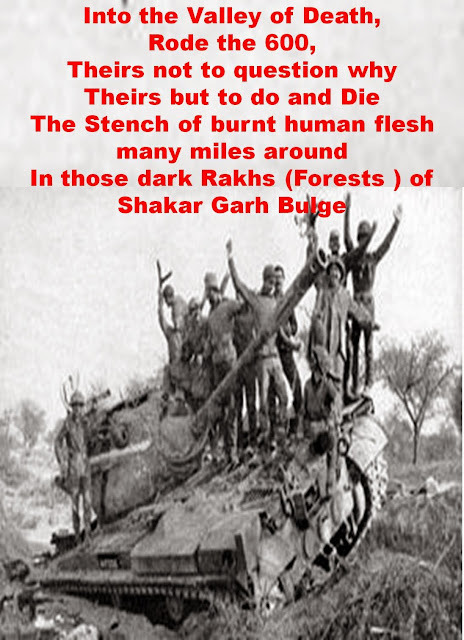 Meanwhile, a day earlier, on July 9, 2015, a Border Security Force (BSF) Constable was killed by Pakistani troops in the Nowgam Sector of Kupwara District, along the Line of Control (LoC), in J&K. Constable Krishan Kumar Dubey of BSF’s 119th Battalion was killed when Pakistani troops fired three sniper shots at him at the Karam picket in the Nowgam Sector. ODESSA, Ukraine — Striding through headquarters, Todor Panevsky gleefully announced that comrades in his self-defense unit had detained a pro-Russian separatist sympathizer in this picturesque port city. “We’ll ask him a few questions and then we’ll hand him over to the security services,” said Panevsky, a portly part-time opera singer who has refashioned himself as the commander of an armed patriotic vanguard against secessionist sentiment in Odessa. Odessa lies more than 500 kilometers (300 miles) west of the front line in east Ukraine, where government troops are mired in a war of attrition against Russian-backed separatists. Still, anxiety about a second front emerging here is fueled by regular news of arrests of people suspected of plotting militant anti-government activities. Panevsky says authorities aren’t doing their job and units like his are stepping in. “The fight against separatism should be carried out by the security services, which are completely corrupt and compromised,” he said. An Unnoticed Crisis: The End of History for Nuclear Arms Control? Beginning with the signing of the Partial Nuclear Test Ban Treaty in 1963, an international arms control regime has limited existing nuclear arsenals and prevented further proliferation of nuclear weapons. But that entire system could soon unravel. Beginning with the signing of the Partial Nuclear Test Ban Treaty in 1963, an international arms control regime has limited existing nuclear arsenals and prevented further proliferation of nuclear weapons. But that entire system could soon unravel. Nearly all negotiations on nuclear arms reduction and nonproliferation have come to a stop, while existing treaty structures are eroding due to political and military-technological developments and may collapse in the near future. These strategic and technical problems can be resolved if politicians are willing to work them out, and if experts approach them creatively. Problems other than nuclear arms control dominate the security agenda of the polycentric world. 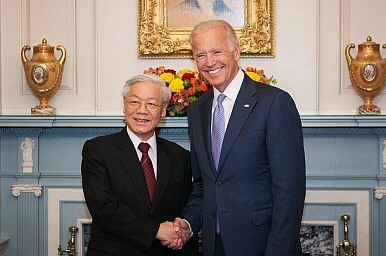 Various analysts and commentators have erred in their analysis of the recent visit to Washington by the secretary-general of the Vietnam Communist Party (VCP), Nguyen Phu Trong, by placing too much emphasis on the lack of a break through in defense relations. 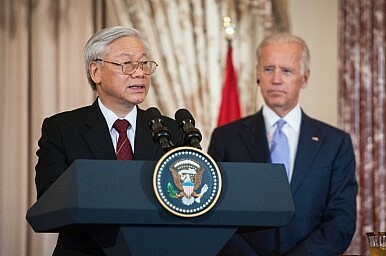 Trong’s visit was not a tipping point in Vietnam’s relations with the United States and China. Nor were arms sales and U.S. access to Cam Ranh Bay the major items on the agenda. 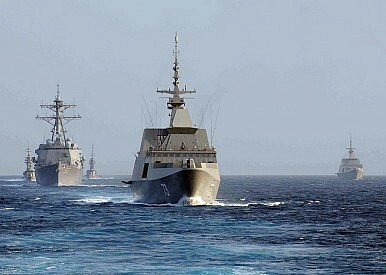 On July 13, the U.S. and Singapore navies began a joint maritime exercise at Changi Naval Base. The 21st annual Cooperation Afloat Readiness and Training (CARAT) Singapore exercise involves 1,400 personnel from both countries and will take place from July 13 to July 24. 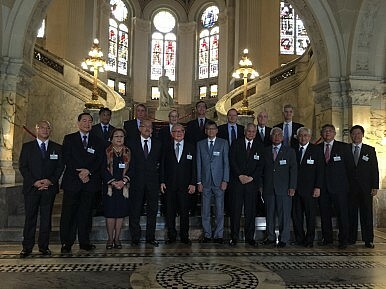 It is part of a series of bilateral naval exercises conducted by the U.S. Navy (USN) with partners and now involves nine countries in South and Southeast Asia – Bangladesh, Brunei, Cambodia, Indonesia, Malaysia, the Philippines, Singapore, Thailand and Timor-Leste (See: “US Eyes Expanded Military Exercises with ASEAN Navies”). According to Singapore’s Ministry of Defense (MINDEF), this year’s exercise focuses on honing conventional maritime warfare capabilities – including anti-air, anti-surface and anti-submarine operations. 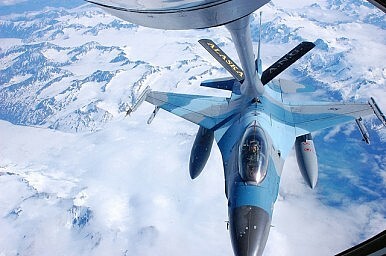 In terms of assets, the Republic of Singapore Navy (RSN) and the Republic of Singapore Air Force is contributing five ships, a submarine, a naval helicopter, a maritime patrol aircraft and a fighter aircraft, while the USN and U.S. Marine Corps is contributing three ships, a submarine, three naval helicopters and a maritime patrol and reconnaissance aircraft. Just as President George W. Bush raised doubts with a much-criticized “freeze” on arms sales to Taiwan, President Barack Obama has raised questions about his adherence to the 1979 Taiwan Relations Act (TRA). The TRA guides US policy in making available to Taiwan defense articles and defense services for its “self-defense.” US leadership and credibility regarding the “Rebalance” to Asia requires decisive, urgent action regarding Taiwan. That policy should include tangible follow-up actions to support Taiwan, maintain stability in the Asia-Pacific, and help Taiwan avoid coercion and conflict. The threat of climate change needs to be assessed in the same comprehensive way as nuclear weapons proliferation, according to a UK foreign minister. Baroness Joyce Anelay, minister of state at the Commonwealth and Foreign Office, said the indirect impacts of global warming, such as deteriorating international security, could be far greater than the direct effects, such as flooding. She issued the warning in a foreword to a new report on the risks of climate change led by the UK’s climate change envoy, Prof Sir David King. Over the past five years, Adobe Systems has remade itself as a cloud company. It no longer offers its publishing and design tools in the form of physical, shrink-wrapped products to be deployed at customers’ sites under a perpetual license—where customers pay once and can use the software indefinitely. Rather, customers subscribe to Creative Cloud, the company’s online suite of publishing and design tools, and receive frequent software upgrades as well as a range of new online-only and mobile services. In large part because of Adobe’s transition to the cloud, the company has seen its fortunes turn. Its stock price has more than tripled, overall revenue growth has climbed from the single digits five years ago to the double digits today, and recurring revenue has climbed from 19 percent in 2011 to 70 percent of total revenue today. The number of subscribing customers is more than four million and rising. Despite North Korean threats, the United Nations created on June 23 an office in Seoul to combat Pyongyang’s egregious human rights violations. Although basic human rights are the quintessential element in the quality of life, the international community has paid insufficient attention to the horrendous deficiencies of human rights in North Korea. While well-meaning public campaigns were directed at human rights violations elsewhere in the world, the North Korean regime’s attacks on its own citizens were largely ignored. This was due in part to the paucity of information from within the Hermit Kingdom. But another factor was that, for some in South Korea, there was concern that raising the sensitive issue of human rights in North Korea would negatively impact the inter-Korean relationship. This explains why—despite 10 years of legislative debate—the South Korean parliament has failed to pass a North Korean human rights act. Launched in broad daylight as it was over open ground in full view of one tank squadron plus and one infantry battalion and covered by their combined weapons. 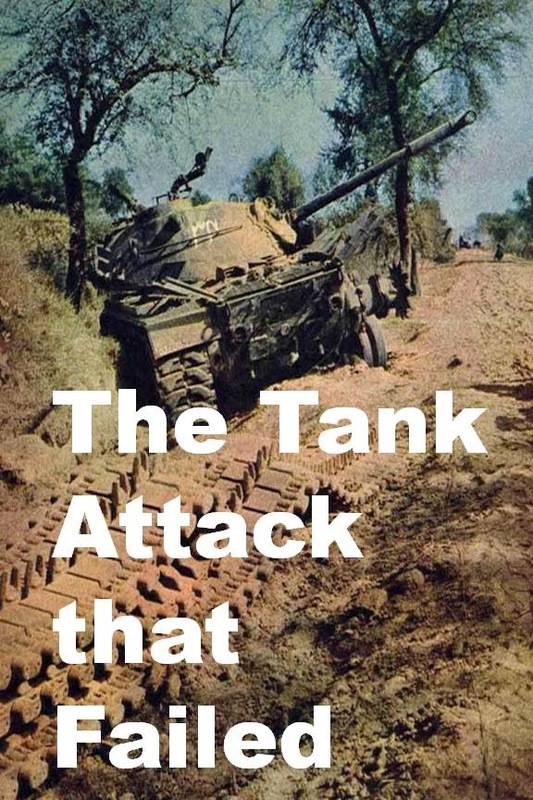 Tanks and artillery opened fire when the Pakistanis emerged from cover from their forming up place.It was a foolhardy venture,the attackers were literally massacred but they persisted in their attempt to close until the few remnants fell only about 50 metres from tanks of 4 Hodsons Horse.